Travel theme: Delicate | Where's my backpack? I’m feeling a little delicate at the moment, so I thought I’d take inspiration and use it for this week’s travel theme. Here are a few delicate sights I’ve photographed on my travels. 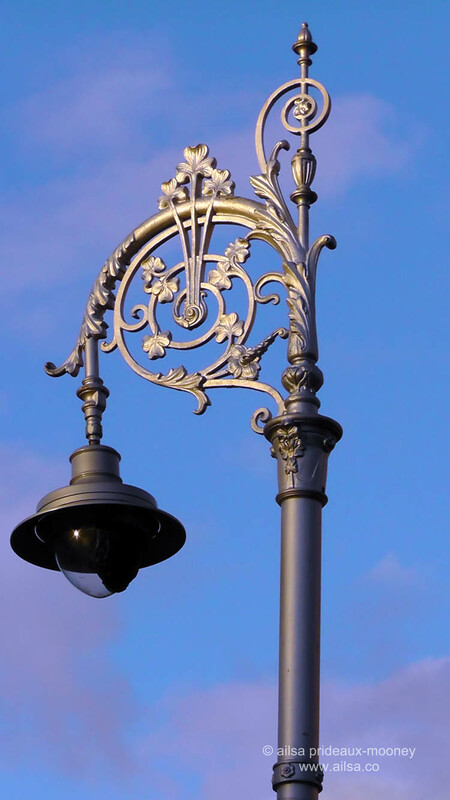 First, the delicate iron work of a Dublin lamp post – look at all those shamrocks! 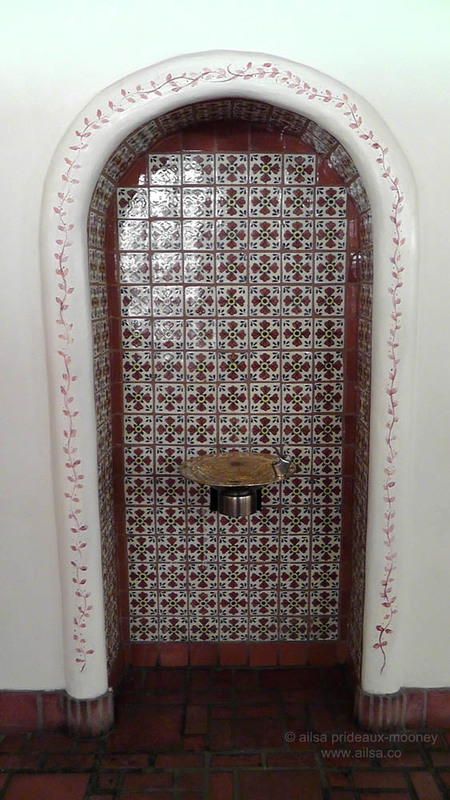 Delicate tiles surround a drinking fountain in Santa Fe. And I’ll leave you with some Skagit Valley tulips on a rainy day. The water droplets photo is excellent. But the other ones are as usual, great too. Have a nice weekend Ailsa and backpackfriends! Stunning shot of the water drops! The tile work is exquisite! I couldn’t get over the tiles in New Mexico, Amy, they were gorgeous. Sorry to hear you are feeling a little delicate this week, Ailsa. Lovely swirls and curls, to put it delicately. 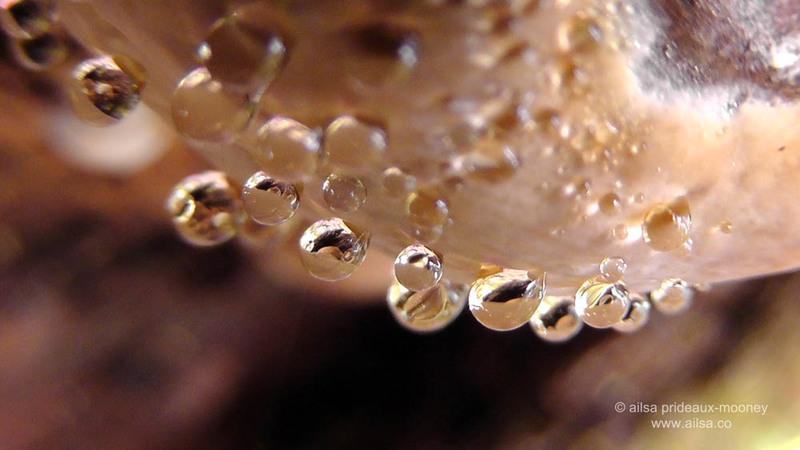 Those tiny beads of moisture are so filigree…I am amazed! And wonderful prompt, Ailsa! It was an amazing hike, Ese, hot and humid but when we got to the waterfall where I took that photo the temperature dropped and we got a nice cool blast of air to send us on our way. I love your post, and that quote by Ovid is marvellous, and very true! Alisa- I especially like the tulips shot. Anytime you put a photo up of them I am mesmerized. during our trip to Scotland, in the gardens of Dunrobin Castle, I had few lovely pics of water & flowers. Oh what a blaze of colour, even though it’s autumn in this hemisphere your post is like a burst of spring, those sun birds are amazing. I’m a shamrock guy, myself. Here is my first look…. It is nice after a blizzard as well! Great idea for the post, thanks for posting these every week. Dang, I need new glasses. I misspelled your name. More beautiful photos, Ailsa. Thanks! Thanks Ailsa! Can’t wait to see what you’ll have in store for us next week! The water drop photo is magnificent, Ailsa, wow. Hi Ailsa, i always like your tulip shots. Ohh I’m in love with your tulips. WOW!! Thanks Stefano for fixing my link!!! Amazing water droplets, just wow! Hi there Ailsa … Those water droplets do it for me, great work. Cannot pick a favourite of your photos. I like the workmanship in two of them…love tulips and water drops. Nice collection, Ailsa. Here is my interpretation of delicate. Love the tulip over the water Aisla – lots of interesting replies this week! Good choice. The reflection on those water droplets is amazing! My version of delicate- thanks Ailsa!